Daniel N. Deasy is a founding partner at the law firm of Ammarell Deasy, LLP. Mr. Deasy handles a variety of courtroom matters, focusing on family law, personal injury claims and criminal defense matters. Mr. Deasy brings a wealth of courtroom experience and advocacy knowledge to the teaching arena, having prosecuted and defended hundreds of trials and contested hearings in criminal, civil and family law courtrooms across the State of Colorado. 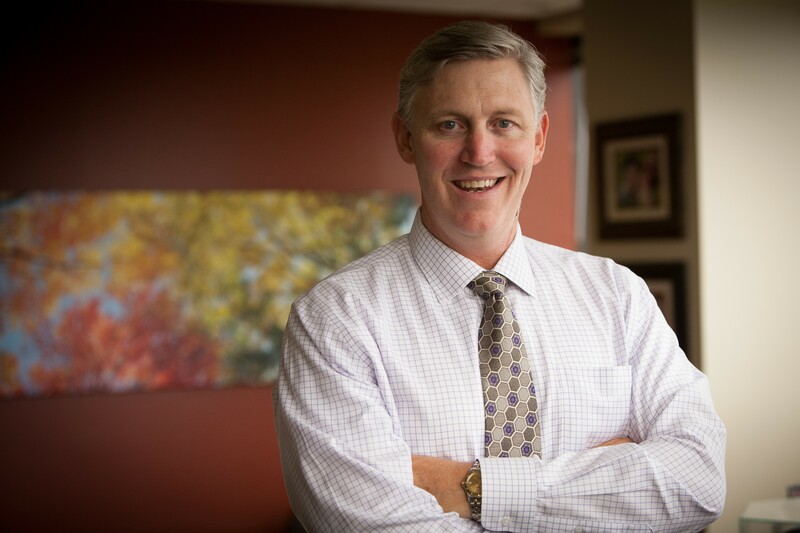 Mr. Deasy received both his Bachelor of Arts and Juris Doctor degrees from the University of Colorado at Boulder, graduating from the School of Law in 1993. He was presented with the William O. DeSouchet Award for outstanding trial advocacy while in law school. Following graduation, Mr. Deasy completed a judicial clerkship with the Jefferson County District Court and worked as a prosecutor in Colorado’s First Judicial District (Jefferson and Gilpin Counties) until 1998. Mr. Deasy then served as Director of Contracting and Legal Affairs at a medical management group for approximately one year, but in 1999 returned to litigation as in-house counsel for Colorado’s largest insurance carrier. In 2005, Mr. Deasy became the managing partner at Caplis & Deasy, LLC., where he specialized in personal injury litigation. In 2008, Mr. Deasy began to focus more of his practice on family law and in 2011, Ammarell Deasy, LLP opened its doors. Mr. Deasy’s teaching experience includes advocacy skill instruction at the National Institute for Trial Advocacy (NITA), the University of Colorado School of Law, the University of Denver College of Law, and the Colorado District Attorneys Council Trial Techniques School. He has taught courses in Juvenile Law, Delinquent Behavior, Criminal Investigation and Judicial Function in the college setting. Mr. Deasy has lectured for the American Bar Association and instructed with the Colorado Bar Association for the last several decade. He has taught for the Colorado Defense Lawyers’ Association, the Colorado County Attorneys Association, the First Judicial District Bar Association, and the Denver City Attorney’s Office. Mr. Deasy has lectured nationally on case analysis, pre-trial conferences, dealing with difficult witnesses and attorneys, jury selection, direct and cross examination techniques, expert witnesses, opening statements, closing arguments, visual courtroom persuasion, courtroom technology, social media in the courtroom, investigational strategies, evidence, using exhibits, mediation strategies and deposition practice. Simply put, if the topic involves courtroom work, Mr. Deasy has been asked to teach it. Mr. Deasy has received the prestigious NITA Faculty designation from Martindale-Hubbell, which identifies a faculty member who has consistently received superior evaluations. He is A-V rated, and has received Martindale Hubbell’s Judicial Edition superior designation for the last several years. Finally, Mr. Deasy is a multi-year Super Lawyers honoree.